March 15, 2017 / Modified mar 16, 2017 9:48 a.m.
Kindergarteners work on an activity at Nosotros Academy. Arizona Gov. Doug Ducey’s proposal to fund all-day kindergarten in school districts in low-income areas would help 10 charters in Tucson and no traditional public schools in Pima County. At Nosotros Academy, a K-12 charter school on Tucson’s west side, kindergarten students start their day with breakfast before beginning reading and writing activities. Kindergarten at Nosotros goes from 8 a.m. to 2:30 p.m. Teacher Gilbert Tovar said it’s important to hold class all day. “The first semester of just getting them used to coming to school is very difficult, the first nine weeks in particular, so being able to have extra time with them and get them used to coming to school is really beneficial,” Tovar said. Dessie Ford agreed. Her granddaughter Kaylie attends all-day kindergarten at Nosotros. “It helps her to be on her own and helps her learn how to do the arithmetic, how to do reading, writing, coloring, using scissors and respect of other kids,” Ford said. Funding all-day kindergarten in schools in low-income areas is Gov. Doug Ducey’s goal. In January, he proposed $10 million to fund all-day kindergarten for next fiscal year and $50 million over three years for school districts and charters in low-income areas like Nosotros. Ten charter schools in the Tucson area are eligible for Gov. Ducey's proposed all-day kindergarten funding. But there’s a catch. Governor’s office spokesman Daniel Ruiz said the money would go only to districts and charter schools in which more than 90 percent of students qualify for subsidized lunches. That means no traditional public school districts in Pima County will qualify. Just two districts in Southern Arizona - Nogales Unified District and Santa Cruz Valley Unified District - would be eligible for the all-day kindergarten funding. The governor’s office has identified more than 90 school districts and charters statewide and 10 charter schools in Tucson that are eligible, using state data from October 2015. Flowing Wells Unified School Superintendent David Baker said he has two elementary schools that would qualify. But access to funding isn’t that simple. “The way I read the language is they would not be eligible to access these funds, and so you either have to be a charter school at 90 percent or higher or an entire school district,” Baker said. Ruiz confirmed the 90 percent rule applies district-wide and not school by school, except for charter schools. Another spokesman, Daniel Scarpinato, said the list is preliminary, and districts and charters that didn’t meet the requirement when the budget was put together could apply for all-day funding if they meet it later. No traditional public schools in Pima County would benefit from the all-day kindergarten funding. There are 215 traditional districts in the state, according to the Arizona Department of Education. 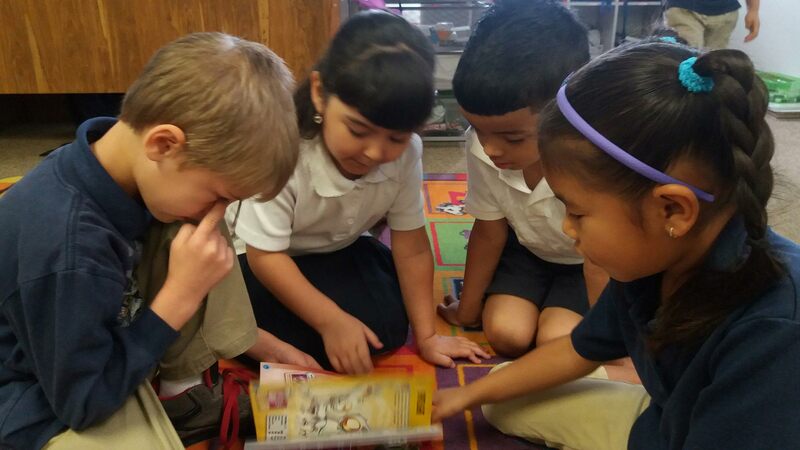 Forty-two charter schools in the Tucson area offer kindergarten. Most Tucson-area districts, including Flowing Wells, are already on all-day kindergarten and pay for it with local funding shifted from elsewhere. Flowing Wells is at 74 percent subsidized lunches. The governor’s proposal could free money for other programs, Baker said. “That would be really important to us for lowering class size or offering additional electives or programs for students that are currently budgeted to support full-day kindergarten,” Baker said. Sunnyside Unified School District comes closest in Tucson to the subsidized lunch threshold, at 86 percent. Hector Encinas oversees Sunnyside’s finances. “Our percentage of free and reduced is substantially probably higher than any other school district in the area, so I fail to see which school districts will be qualifying for that all-day K funding,” Encinas said. Helen Keeling Elementary is one of three in the Amphitheater district above the 90 percent lunch requirement. 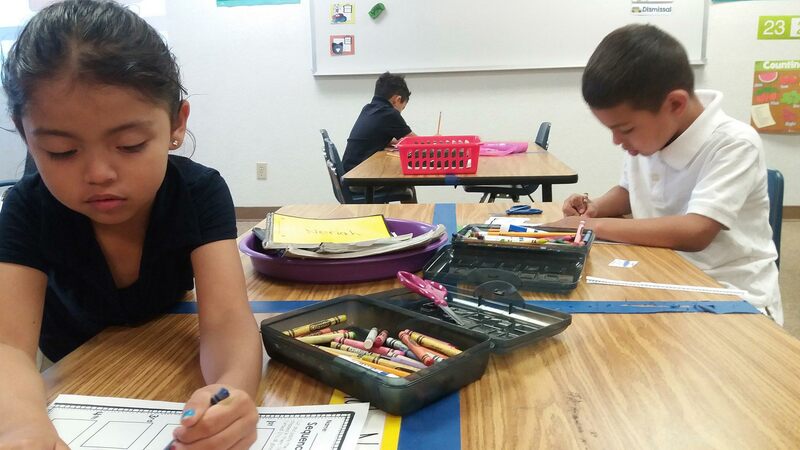 All of Amphi’s elementary schools offer full-day kindergarten, paid for by its maintenance and operation budget. Principal Annette Orelup said the full day isn’t a luxury for her students, it’s a necessity. “Our kids, a lot of them come to school unprepared to learn and so we’re trying to roll in kindergarten and preschool and social skills and parenting and everything else all at the same time,” Orelup said. Orelup said there’s not enough time in a half-day program to teach students life skills like writing their name or learning shapes and colors. “They’re just getting the very, very small basics. They’re not getting enough literacy instruction. We’ve got to have that full six hours to get our kids ready,” Orelup said. 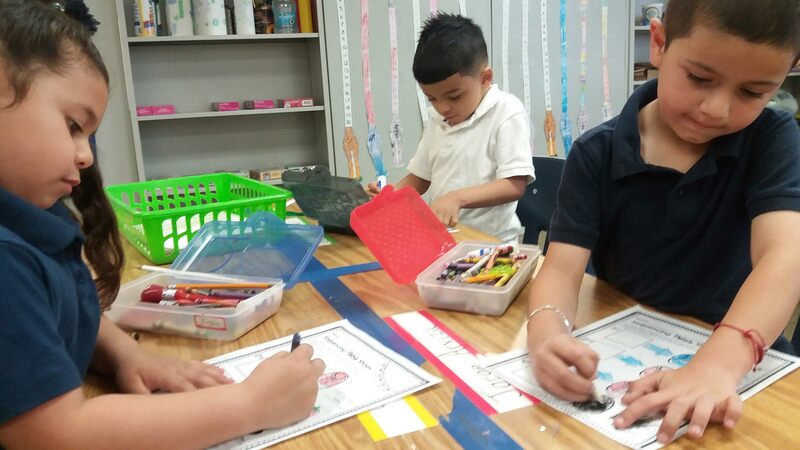 At Nosotros, Tovar teaches about a dozen students, and because of his experience teaching higher grades, he knows what all-day kindergarten means over time. “You see that in third grade, the kids that don’t go to preschool, that don’t have any early literacy activities when they’re three, four, five years old, that when the time they’re in third grade and they’re held accountable they really struggle,” Tovar said. Third grade is a telling year for students. Under state law, it’s when students must be able to read or they cannot be promoted. For them, all-day kindergarten is the first step on that learning journey.